Michael disappeared for over three hours the other morning... 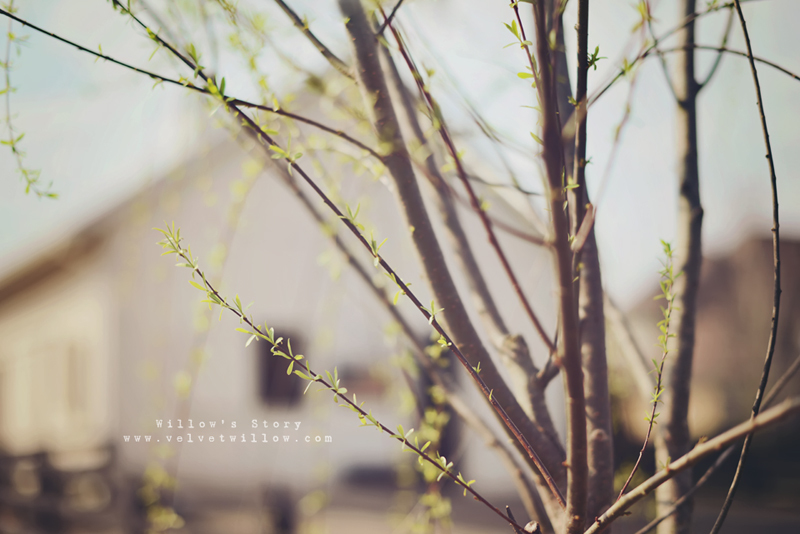 I had no idea what he was up to, but he returned with a very beautiful gift for me... a Weeping Willow tree. He planted it in our backyard near the barn, and I can see Willow's stall from where he put it. This was the sweetest gift he has ever given me... and it made me cry. OMG that made me cry! What a thoughtful gift with so much meaning! I hope each day gets better for you. I don't know you but I have read all about Willow and I came upon a song that seems so fitting for you and Willow if you ever do another slideshow or video of her. It is called: Fields of Gold by Eva Cassidy. It just seems so fitting for you and Willow.